EXAOILS12 - 12 fl. oz. This gentle hydrating shampoo restores moisture levels and repairs damage caused by chemicals, excessive heat from styling, and the environment. Free of sulfates, phosphates and parabens, this shampoo is safe for chemically and color-treated hair. 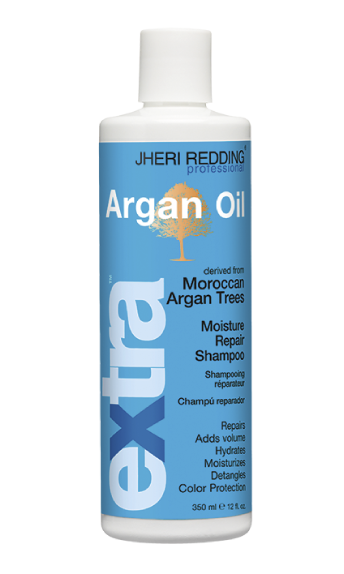 Add volume and improve shine and manageability with Jheri Redding® Argan Oil Moisture Repair Shampoo.